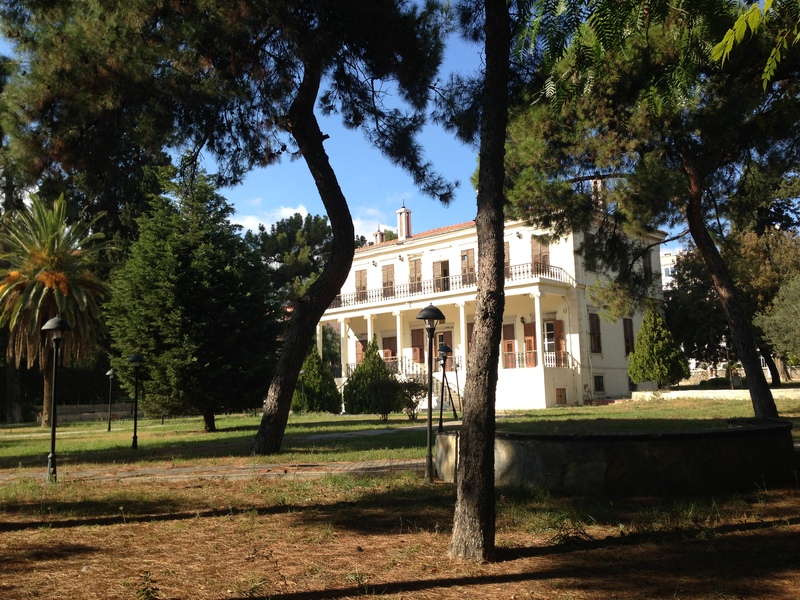 Over Halloween 2014 weekend I traveled to the Aegean coast to celebrate the holiday and do some sightseeing. 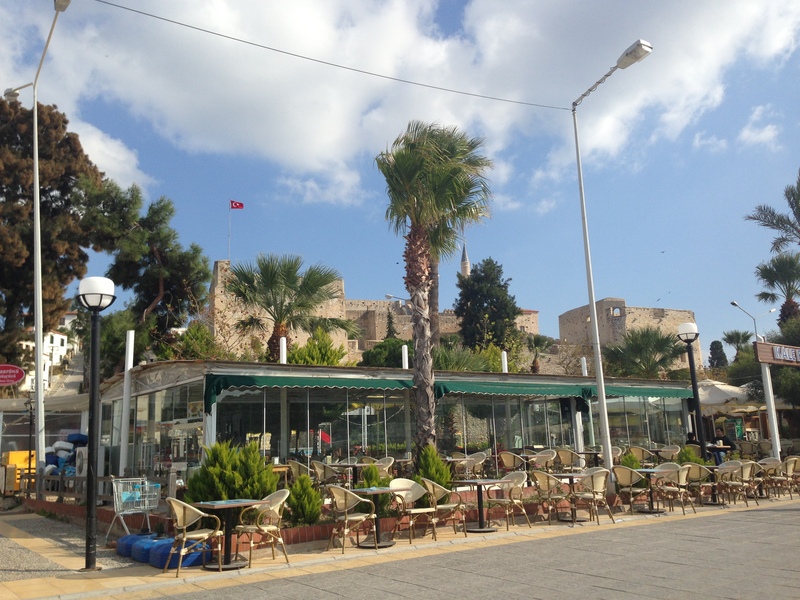 I stayed with a friend in a unique area of Izmir called Bornova, which I had yet to visit. 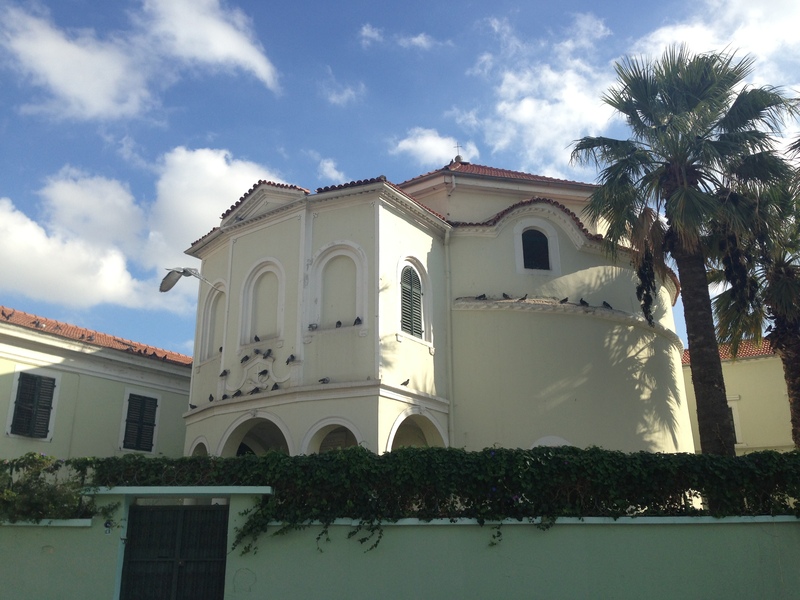 I had a great time spending a day wandering and site-seeking Bornova’s famous Levantine architecture. I’m always intrigued by that, but the Bornova one-two punch is that many of these structures are religious (churches, to be precise). Well riddle me nerdy. The focal point of the city square in Bornova is the still-active Catholic Church. Ironically, we couldn’t find the entrance, not sure if we could’ve gotten in. The side streets are full of hidden gems. We were happy to come across the haunting St. Mary’s Magdalene Anglican Church and accompanying cemetery. 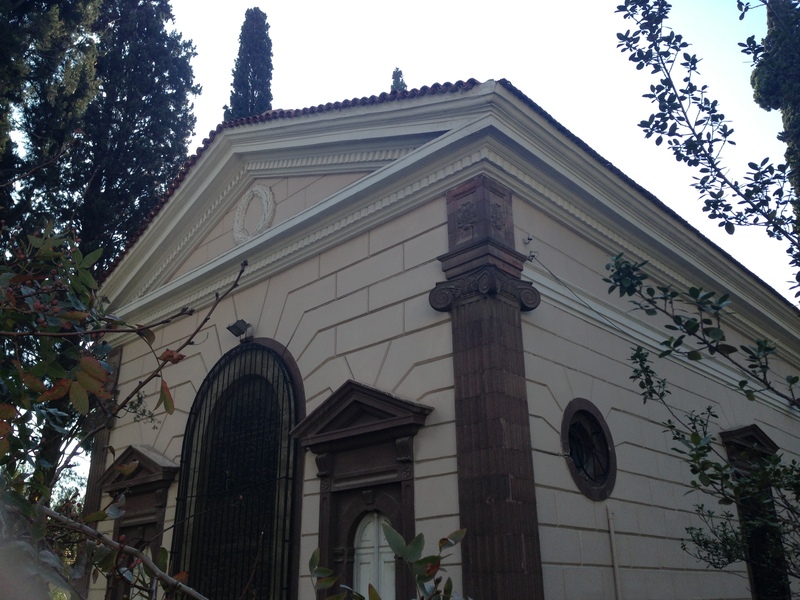 Some sources online say that this church is still active, but there’s no way… I believe their services are held across town in Alsancak, but this building, based on the state of disrepair we witnessed, isn’t being used. Some of the historic structures have been renovated into hotels or civic buildings, while others sit awaiting restoration. 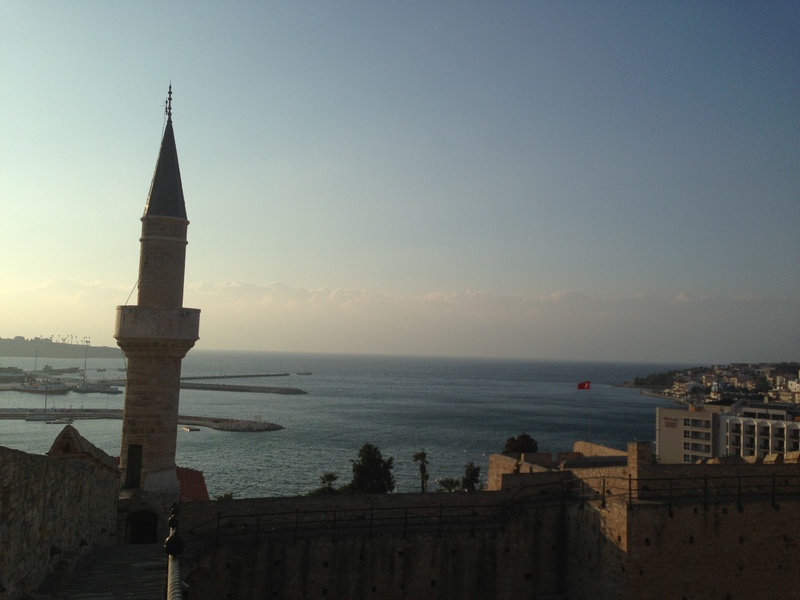 My wanderings also led me to Çeşme, a tourist hub about an hour south of Izmir, along the Aegean coast. I had previously only been to the bus terminal /international port, for my trip to Chios, the Greek island, a few weeks prior. 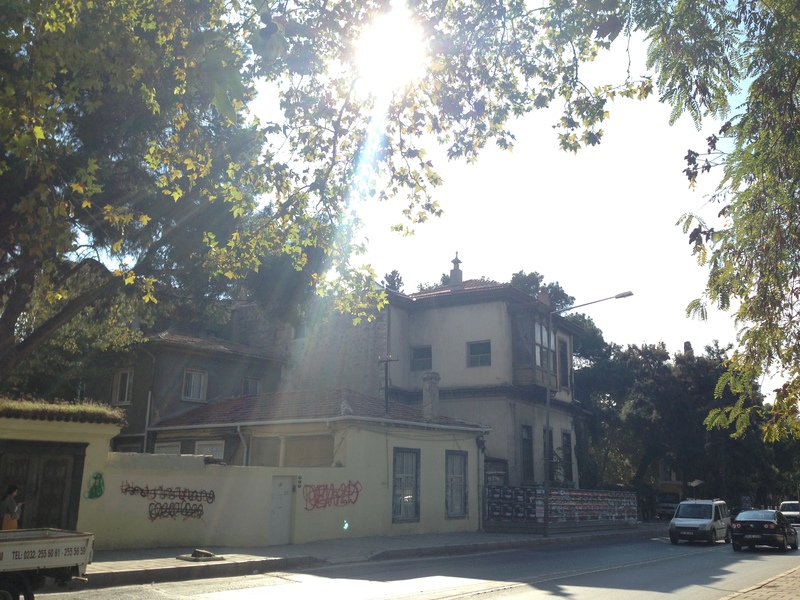 We rode the Izmir metro system to its last stop, and then boarded a bus bound for Çeşme. Late October is admittedly not the best time to visit the city, which is known for its beaches. Nonetheless, we wandered the boardwalk/port area, sat in a handful of cafes, ate kumru, a sandwich famous from the area which is mostly comprised of highly processed bright pink “sosis” (sausage). 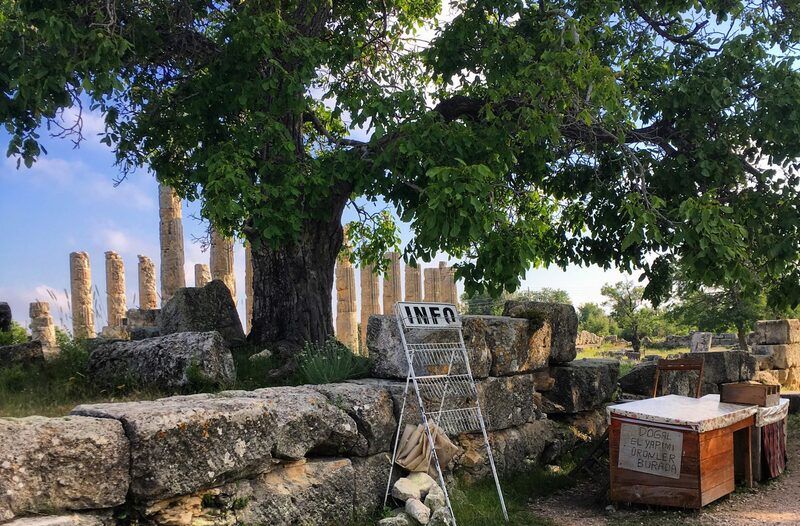 I was thrilled to stumble across the Orthodox Church of Ayios Haralambos, a 19th century church that Lonenly Planet calls “imposing but redundant.” I’m not sure what that means, but it certainly no longer operates as a church. 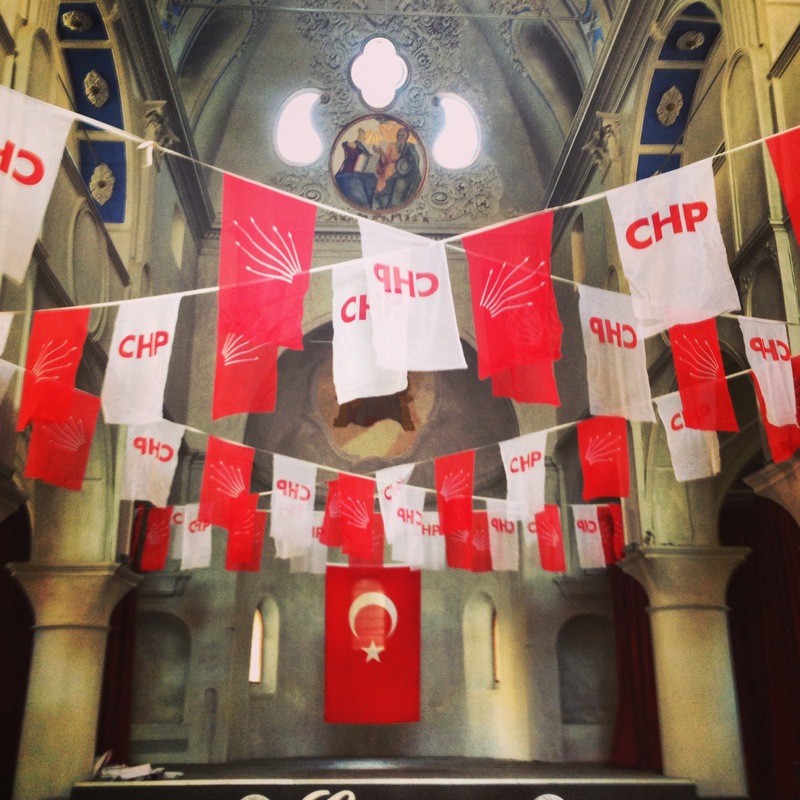 The entire space was blanketed in the flags of the Kemalist CHP party, and there was a craft bazaar being held in the center of the space. 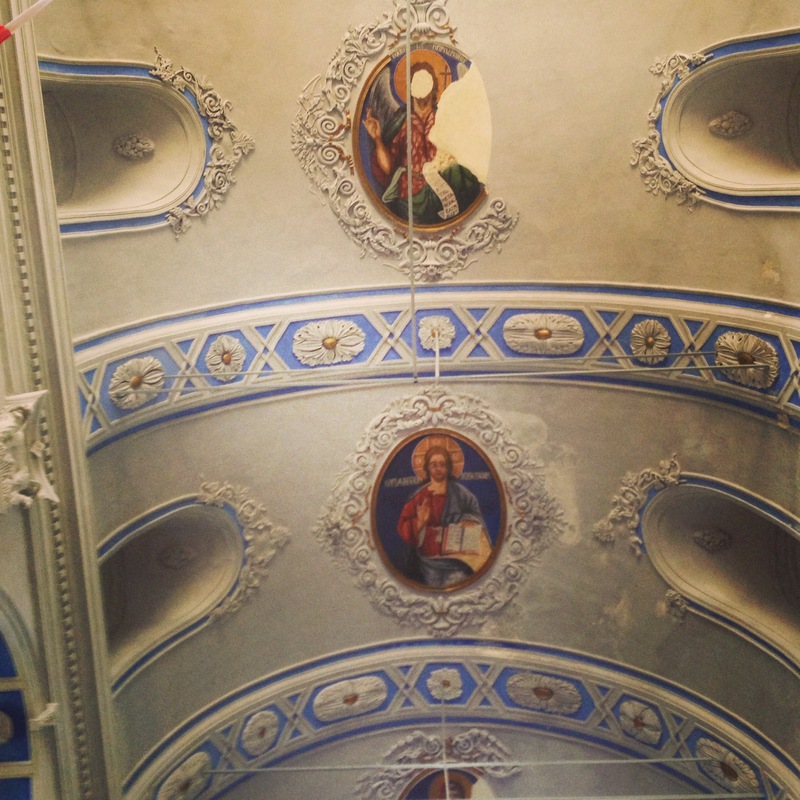 Note the specific damage done to the iconography of the church… I still have a lot of lingering questions about this space. We then visited the city’s castle and accompanying museum, the major tourist attraction of the city. The museum had both battle and historical artifacts and displays as well as archaeological and ethnographic (coins, pottery, glass, etc). A security guard even specifically led us to a room full of antique glass to make sure we didn’t skip it. 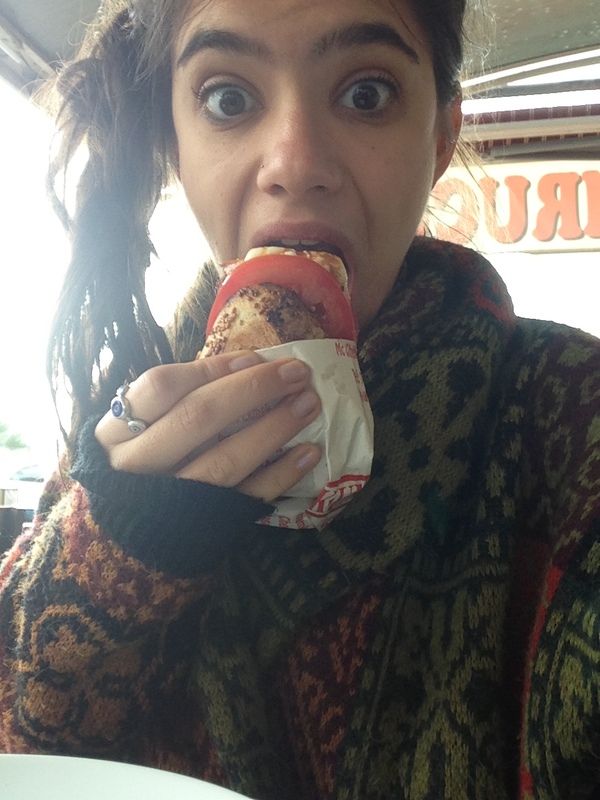 Our day finished at a famous ice cream place called Rumeli Pastanesi, where I dove into a coffee and chocolate cone. In addition to its ice cream (dondurma) this place also sells famed jams and preserves, both if which often contain mastic, the famous sticky stuff in these parts. 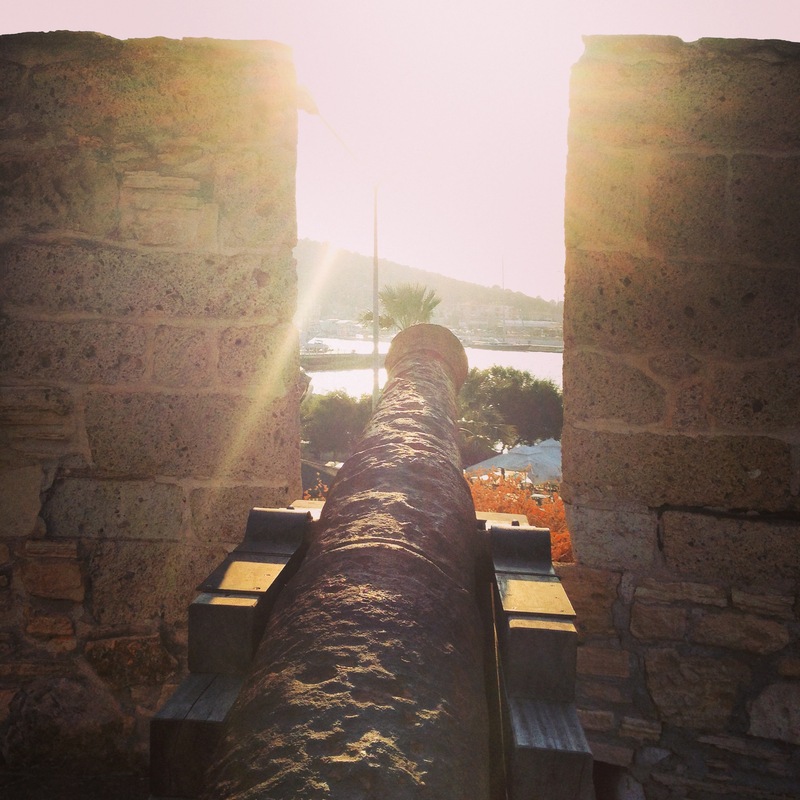 In all, Çeşme made for a good day trip with a bit of history sprinkled alongside relaxing with friends. For curious minds regarding the Halloween festivities, I was a blank attendance sheet one night, a poor attempt at Fulbright Turkey ETA humor, and Frida Kahlo the next, an easy costume for someone with a wardrobe and eyebrows like mine.